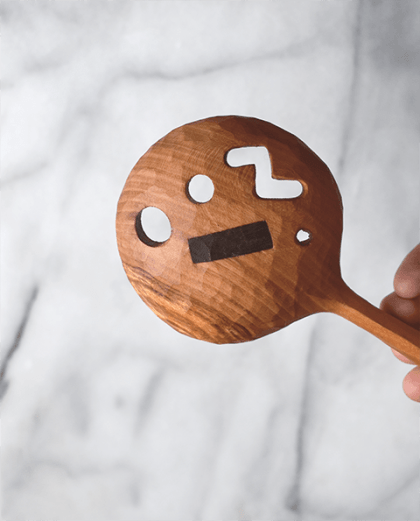 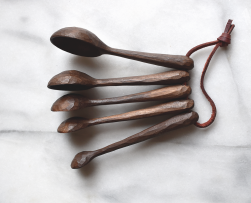 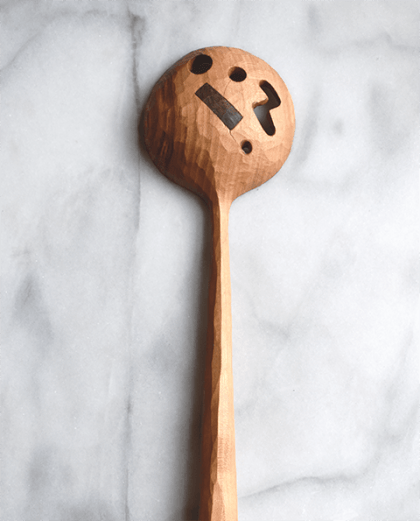 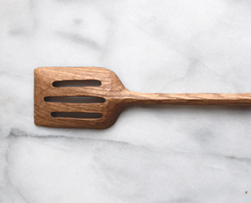 This is a handmade spoon carved from re-claimed cherry wood. 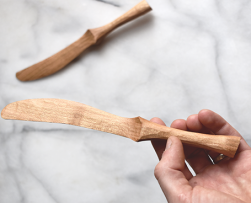 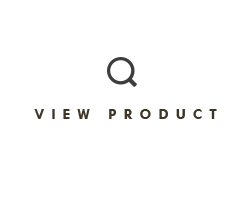 The spoon has a faceted finish, showing the knife cuts that have shaped the spoon. 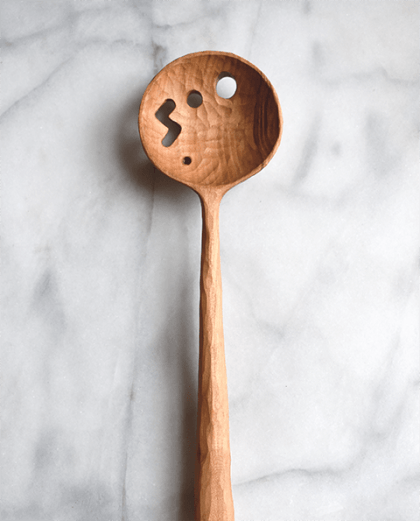 It also features a walnut inlay to repair a natural crack in the wood as well as a number of holes to drain liquid as you cook.